Losing fat in any part of your body, including your thighs, is the result of burning more calories than you consume. This caloric deficit is easiest to attain through a combination of regular physical activity and healthy changes to your diet. Pedaling an exercise bike several times per week can burn enough calories to play a role in fat loss, but you can't individually target the fat on your thighs. Although some fitness products make unreliable claims that they can help you burn fat in a desired area, targeted fat loss is a myth. CNN Health notes this theory, which is called spot reduction, is among the most common misunderstandings in the fitness community. 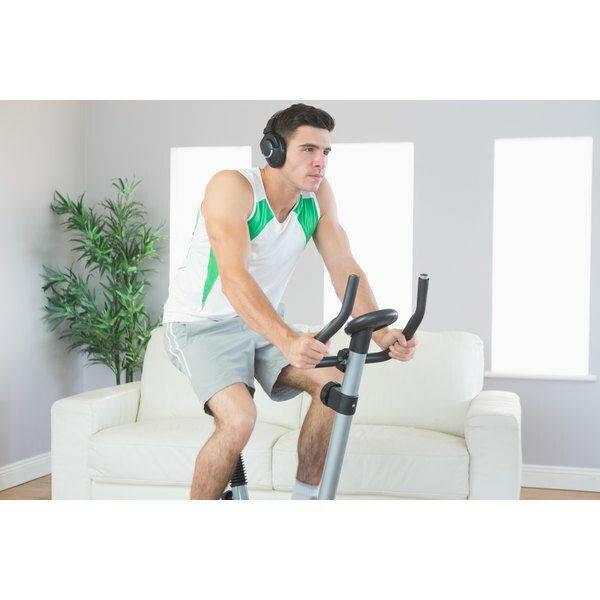 While pedaling an exercise bike will build your thigh muscles, any fat loss you experience from the exercise will be from several areas of your body, rather than just your thighs. Exercises that burn calories quickly help you lose fat, provided you also make dietary changes. Riding an exercise bike for just 30 minutes can help you burn several hundred calories. HealthStatus reports that a 170-pound person burns about 270 calories riding an exercise bike for 30 minutes at a moderate pace and about 439 calories during a 30-minute ride at a vigorous pace.